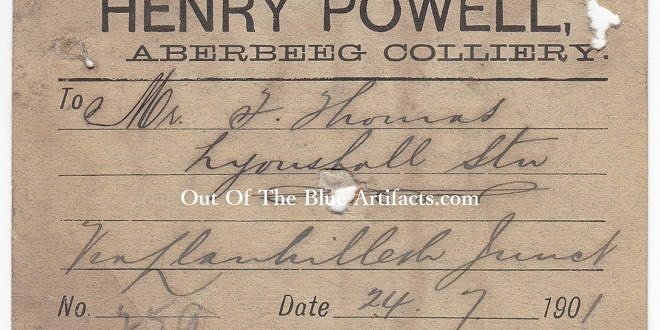 Aberbeeg Colliery – Coal Truck Ticket. 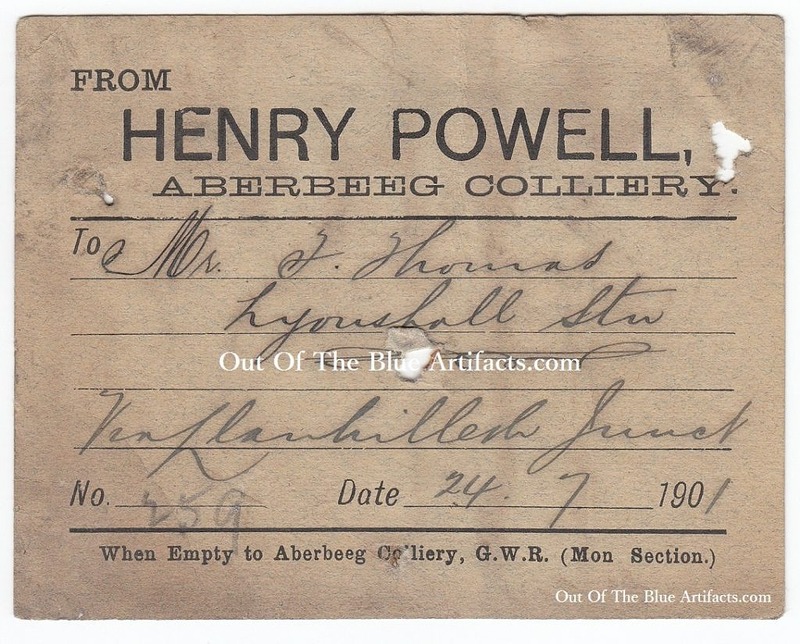 Aberbeeg North Colliery Coal Truck Ticket for the consignment of coal from Aberbeeg Colliery under the ownership of Mr Henry Powell. The Colliery was originally planned by Messrs Webb, Partick and Spittle though Mr Partick left the Company and it was later sunk by Messrs Webb & Spittle in 1862 and closed in 1926.